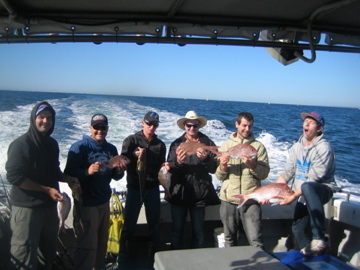 SNAPPER MELBOURNE FISHING CHARTERS FISHING REPORT Wednesday 14th Nov. CApt Vlad nearly bag'en out Today. 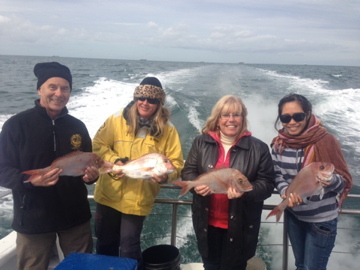 Check out the photo's: Nice box of snapper today. 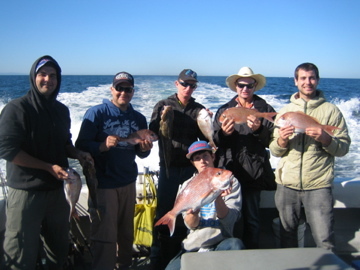 SNAPPER MELBOURNE FISHING CHARTERS FISHING REPORT MONDAY 12th Nov. - last 2 days Still very consistent this week - Arvo's & evening trips been doing very well in the stiff sea breeze. CApt Vlad bag'en out Saturday night 38 fish, and Andre fishing very consistently through all trips. 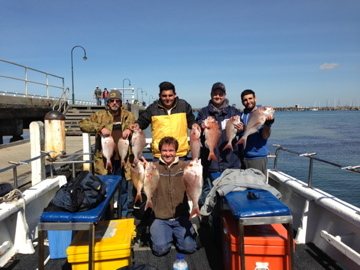 Check out the photo's: A few fish in the 7kg range over too. 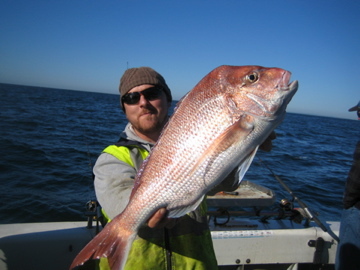 Snapper will still be high on the agenda for anglers over the Christmas period. This fish was taken on a Berkley Gulp 5” Jerk Shad during a session with Melbourne Fishing Charters. Early Monday morning a very excited group of students from Lara Secondary College participated in our annual Port Phillip Bay fishing adventure with Melbourne Fishing Charters. Accompanied by fellow teacher and good mate Tom Elliot, a dozen youngsters and I departed Lara at 5:15am and made the trip up the highway to St Kilda Pier. Arriving a little earlier than anticipated, we quickly boarded the boat and set off in search of snapper. Guided by our hosts Jill and Jake, the plan was to travel across the bay to fish a few of the deeper reefs off Mordialloc during the incoming tide. After an hour long journey onboard ‘Bowen’ we pulled up in 18m of water after Jill spotted some good marks on the sounder. Shortly afterwards a dozen whole pilchards were rigged and sent to the bottom while Tom and I opted to throw soft plastics on our bream rods. Within just a few minutes I hooked up to a solid pinkie snapper on a Berkley Gulp 5” Jerk Shad. After a few missed opportunities, Jill made the call to move out a little deeper into 21m of water, which is where we remained for the rest of the session. Again within ten minutes of dropping anchor Tom hooked up to another respectable pinkie snapper which took a liking to his brightly coloured Squidgy Wriggler. After half an hour passed without another bite I could sense the students’ patience beginning to wane and desperately hoped one of them would hook up. Moments later four rods buckled over simultaneously and as line zipped through the guides the youngsters were on! The next hour was absolute snapper mayhem. Multiple hook-ups kept Jake on his toes as he constantly raced from one end of the boat to other with the net. He also spent plenty of time retying leaders and baiting hooks. Jill was also kept busy, coaching the students through the process of landing a fish and assisting with setting up photographs. It was such a thrill to watch these kids landing snapper after snapper for the first time. After an action packed hour the bite slowed momentarily although a few juvenile flathead kept us occupied. A second run of larger fish came through just before the flood tide and this time I put the camera away for a few minutes to get amongst the action. Again it wasn’t long before another snapper smashed my soft plastic, while more quality fish were shared amongst the group. Just after midday, slack water was upon us and the bite shut down. We finished the day with twenty snapper ranging from 35cm to 65cm, a dozen flathead and a tiny gummy shark taken on a soft plastic! 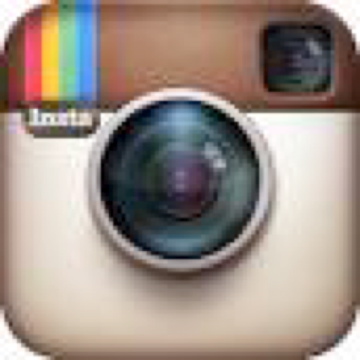 Melbourne Fishing Charters supplied all rods/reels, bait, berley and even cleaned the fish afterwards. 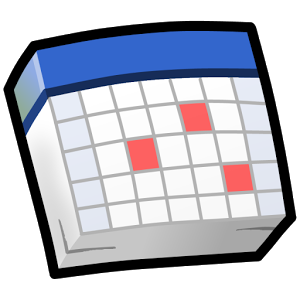 Morning tea and a sausage sizzle lunch was also included as part of the half day package. 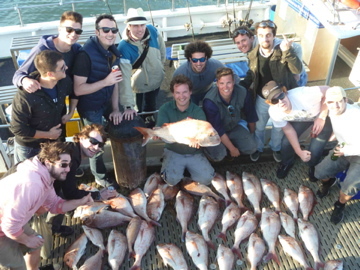 All students took home at least one snapper for dinner and it was by far the best day I’ve experienced with a Port Phillip Bay fishing charter company. Tom Elliot snared the second fish of the day on a Squidgy Wriggler. Moving into deeper water, four rods buckled over simultaneously and the Lara youngsters were on! Multiple hook-ups kept Jake on his toes as he raced from one end of the boat to other with the net. 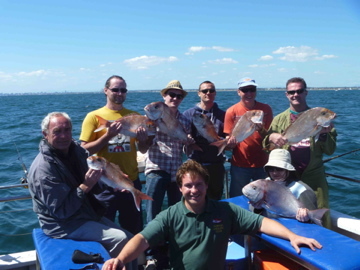 It was smiles all round as numerous snapper were landed in quick succession. Charter skipper Jill was also kept busy coaching students through the process of battling a large fish. Another snapper is brought to the net. Brad managed to land two snapper and a flathead for the morning. A small gummy on a soft plastic was a surprise. A second run of larger fish came through just before the flood tide. This snapper really gave me a workout of my light bream outfit spooled with just 6lb braid. 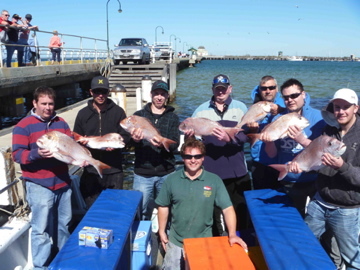 In total 6 snapper fell to soft plastics while another 14 were taken on whole pilchards. Much to our skipper’s disgust, three students revealed they had bananas on board! “Bellasandro ” 43 foot ‘ Modern Sport Fisher Powered by twin 365 Hp Volvo's ,max 22-24 knts. Get to the snapper ground with speed and comfort.